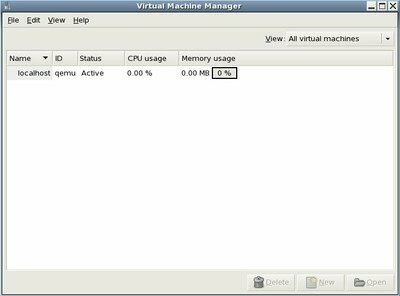 How to install KVM virtualization technologie on CentOS 5.4. 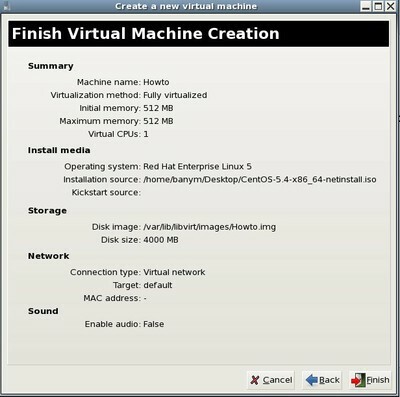 This Howto explains step by step how to install KVM and how to create a VirtualMachine using Virtual Manager GUI. Before you install KVM you need to verify that your CPU is compatible. This will install a few packages. maybe you need to enter your root password. Now select your host and right click on it. Select new and a wizzard will appear. 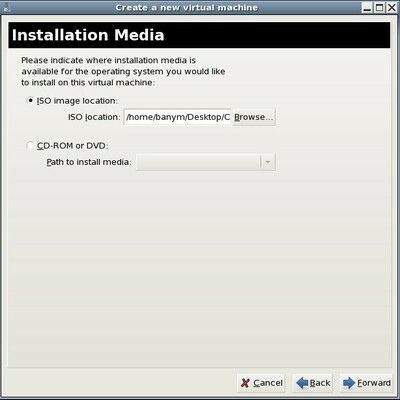 Follow the instructions and create your new virtual machine. Choose your architecture and hypervisor. Create a new harddisc image. 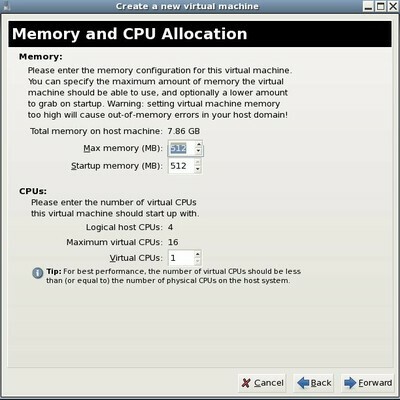 Memory options for your virtual machine. For virtual CentOS installation 512MB is o.k. Review the values and click Finish. The image will be created and machine will be started in a new window. Now you can install the OS. 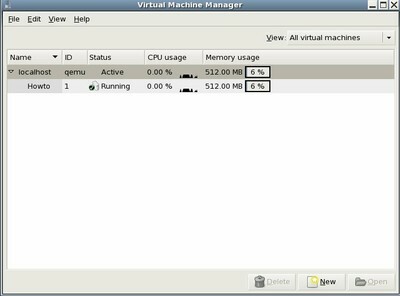 The Virtual Machine Manager window shows you all information about your running VM's. 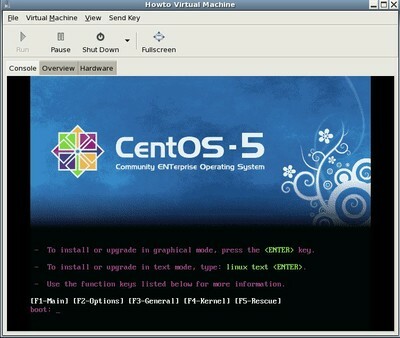 Here are some more information about KVM and CentOS. 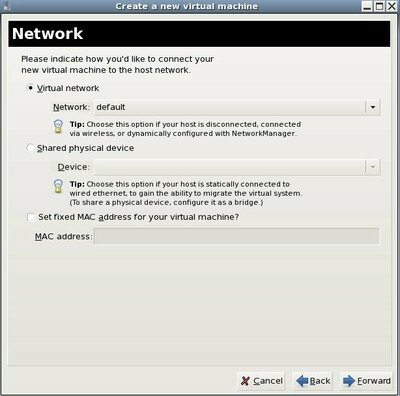 If you want to use the virtual machine in the same network your host is working you need to setup a bridge device.